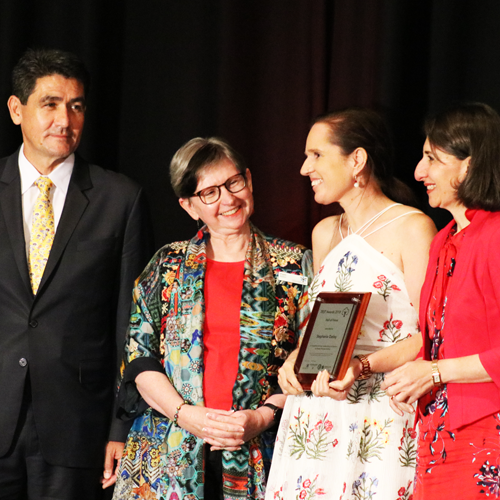 The ZEST Awards Hall of Fame celebrates the extraordinary achievements of people who have dedicated their lives to the Community Sector of Western Sydney. Over the past seven years, ten people have been inducted into the ZEST Hall of Fame. *All viewers are warned this area may contain images of deceased persons which may cause sadness or distress. Peter worked in Western Sydney for over 30 years. A loyal member of the ASU since 1988, and strong advocate for the use of data and evidence, Peter sat on many boards and is well-known and respected across the region. Peter worked at WESTIR for 28 and a half years, where he put his motto “Let the data run free,” into practice. Notably, he was involved in the Western Sydney Area Assistance Scheme, WSROC Regional Community Development Team, Western Sydney Housing Information and Resource Network, TEAM WEST, Voice for Song, FACS TEI Funding Reform, Western Sydney Collective and lobbying ABS to maintain Census questions. Stephanie Oatley had a calling in primary school to support young people who were less fortunate. She made it her career path, completing high school and then university, whilst working in the local youth refuge and street-work project. 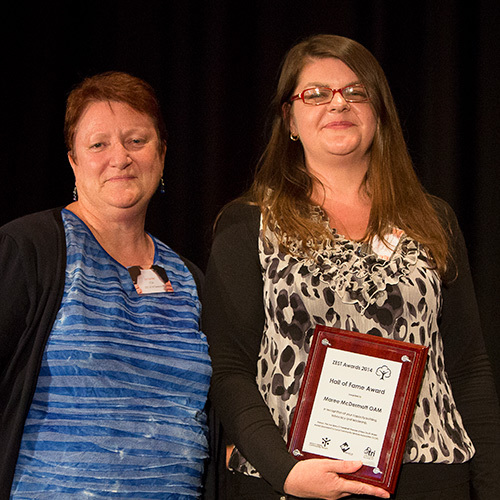 She has remained both in the sector and in the area for 26 years, making a powerful impression as an advocate for homeless young people and an integral component of the specialist Homeless Service System in Western Sydney. She has developed a viable and sustainable youth homeless service that expanded to incorporate over 12 programs across three LGAs. Working with vulnerable young people, Stephanie currently holds the position of CEO at Platform Youth Service. Her dedication and passion to ensure that there is a viable and sustainable service system for young people experiencing, or at risk of experiencing homelessness, is matched by her tireless advocacy, research and foresight. Stephanie has always been at the forefront of policy changes and development opportunities and has been proactive in ensuring service viability and sustainability. She believes that strong localised services provide localised responses and is widely perceived as a role model and a respected leader in the sector. Marnel LaGarde has worked in Western Sydney for over thirty years, initially as a Social Worker and then Manager at Parramatta Holroyd Family Support Service. 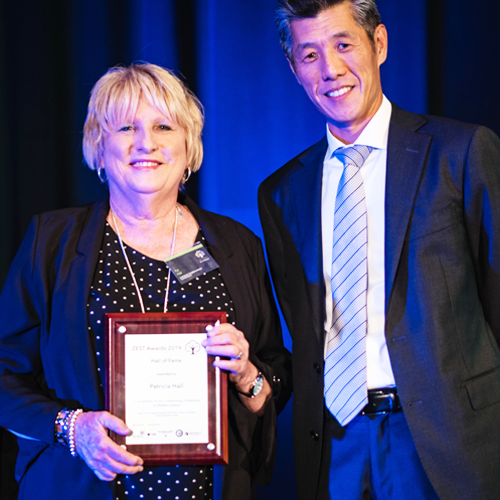 Over those years she has proven to be a tireless and dedicated worker in the human services field, and most importantly, a strong advocate for the needs and wellbeing of families in Western Sydney. Strongly believing families deserve the best range of professional services available to them in their community, Marnel has developed the highly regarded and professional Parramatta Holroyd Family Support Service. 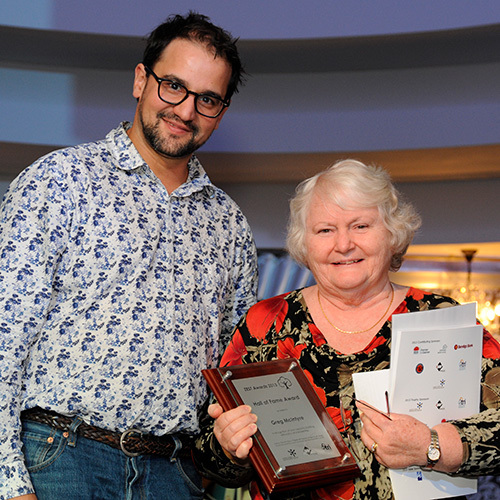 Marnel has also earned for herself a reputation as a strong supporter of other services, giving her time, skills and knowledge to ensure their policies and practices remain ethical, accountable and reflective of best practice. 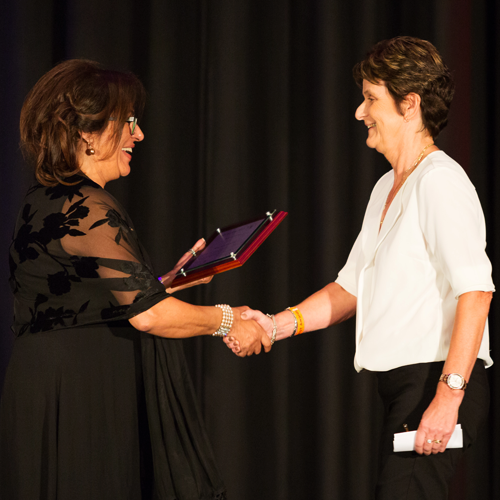 Yvonne Santalucia has worked in Western Sydney for more than 30 years in the Health sector. 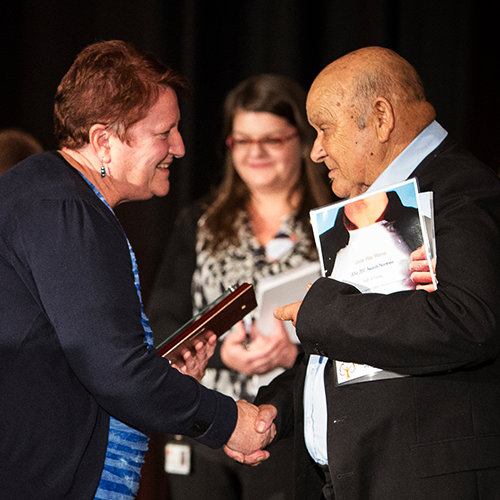 In her paid work, Yvonne is a lead advocate of health issues for older refugees, language and culture in aged services, and in care for CALD people with dementia. Yvonne has also contributed in a volunteer capacity to many community organisations, both within the Spanish speaking community and the wider service sector. 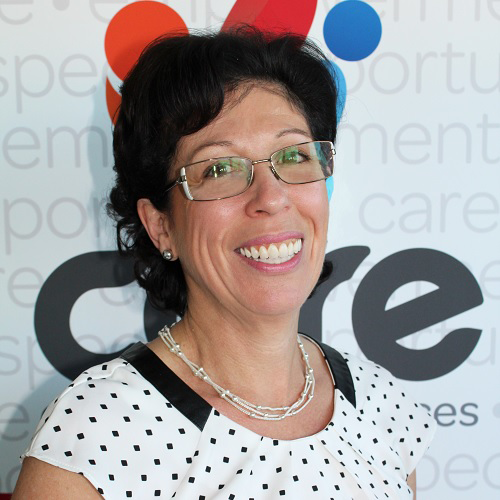 CORE Community Services is proud that she is the Chair of our board, leading us through a restructure and re-branding exercise. Abulla Agwa is a former Ethiopian refugee and true humanitarian who is now an advocate for thousands of refugees in Australia. Abulla and his family arrived in Australia in 2004 following decades of persecution back home because of his human rights activism. 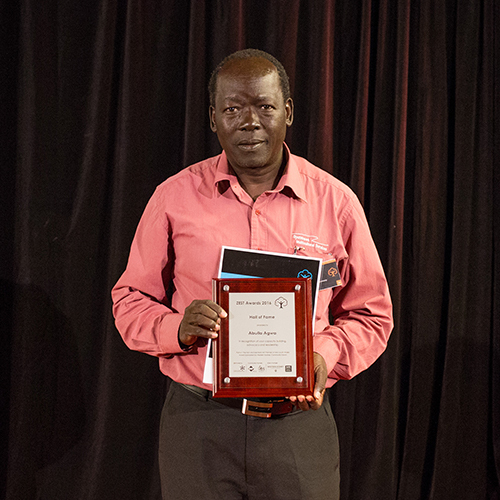 Soon after settling into Western Sydney Abulla enrolled in Community Services at TAFE and began volunteering with the St Vincent De Paul Society. In 2005, he began working for the Mount Druitt Ethnic Communities Agency (MECA) in Mt Druitt and since 2008 has been a generalist caseworker for SydWest Multicultural Services assisting hundreds of refugees every year to settle successfully into Australian society. Laurie Hodge was a loyal, long serving volunteer known for his supportive and generous spirit. He led by example, touching every aspect of Nepean Food Services (NFS) in his kind and caring way. He was a compassionate and forward thinking member of the community who had the courage to champion change, always putting others before himself. At his funeral, as the hearse began its slow journey to Laurie’s final place of rest, the many mourners who had come to pay their respects were moved to applaud the man who had given so much yet had asked for nothing in return. Cheryl Webster has worked for Anglicare for 29 years as a community development worker/advisor as well as an advocate and unwavering supporter of migrants, refugees and asylum seekers. She has always demonstrated care and concern for individuals, families and communities who settle into Australia and those that have the many difficulties associated with the migration experience. She has often gone beyond her duties and other’s expectations in support of their needs. This is also seen in the work she does in Africa where she has travelled many times working with disadvantaged communities. 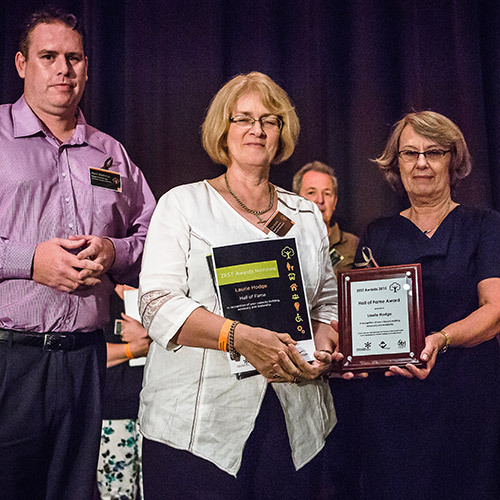 Maree McDermott is recently retired from a 25 year career of contribution to the Western Sydney Community Sector. 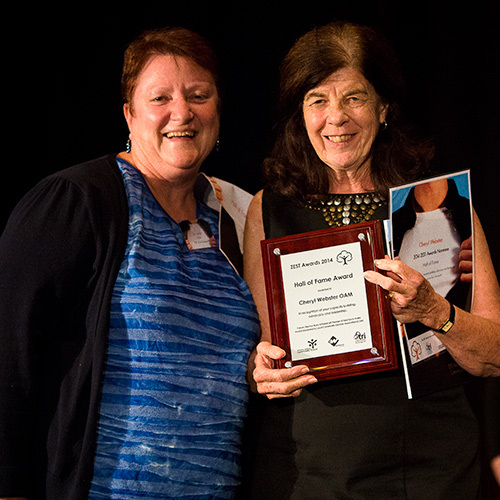 As Manager of South Penrith Youth and Neighbourhood Services and Co-ordinator of Richmond Women’s Cottage, Maree demonstrated a huge commitment to addressing social justice in Western Sydney working tirelessly to improve the lives of disadvantaged individuals and communities. Most significantly Maree played a key role in the Australian Services Union Equal Pay Campaign, achieving significant pay rises for low paid workers in our sector and building Union membership to record levels. Uncle Wes is a Bigamul man in his nineties, a story teller who learned the lore of his people as a traditional Aboriginal man who visits schools to speak about history and culture. He is part of the Elders Council for UWS, currently volunteers with St Marys FaCS, is a current member of Hornsby Council ATSI Committee and a former member of Blacktown ATSI Committee. He has supported many Indigenous organisations such as, Pittuma Centre and Mura Mittagar plus Men’s Shed (helped establish) and was 1st Chair of Marrin Weejali. 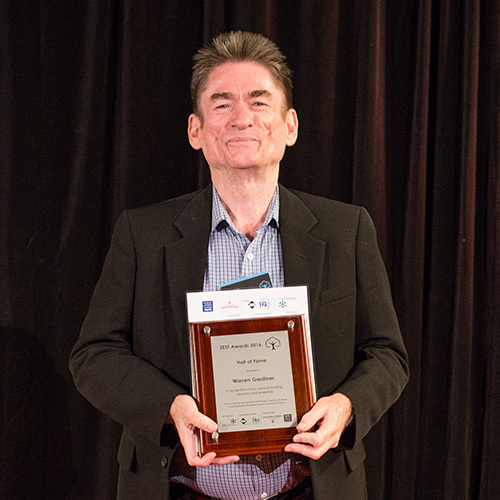 For more than 30 years, Greg McIntyre (OAM, RFD, MA, DipEd, Dip App Psych (clin), M Health Planning) played a pivotal role in establishing support for people with a disability in Western Sydney. 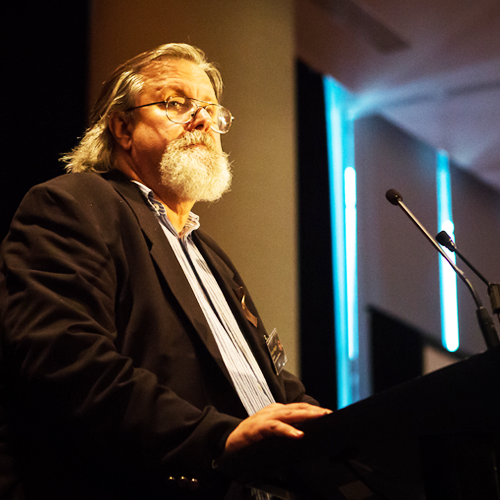 He founded a number of disability service and advocacy organisations, including Ability Options with which he continued working as a Director until his passing in October 2012. Ability Options now supports close to 3500 people with a disability in NSW and ensures tailored and innovative solutions to ensure that each facet of a person’s life is integrated….whether that’s a job, housing, education or being part of the community. Jan Collie has worked at Cabramatta Community Centre since 1985, much of the time leading the organisation. 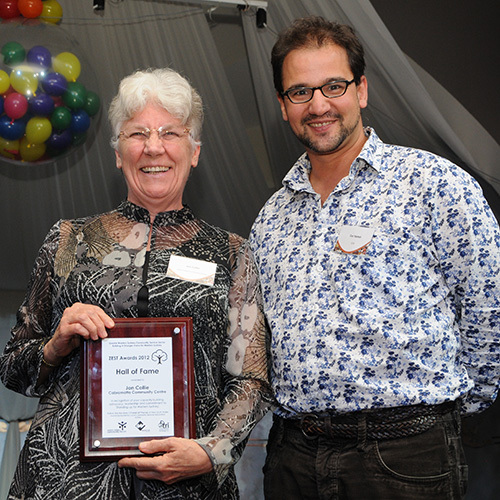 CCC developed into a large, respected community organisation largely due to the commitment and passion of Jan.
She has seen the organisation through numerous government program changes. She has supported both her own staff, and mentored staff in other organisations, who are grateful for her wisdom. Jan has worked to establish a number of groups including Fairfield Liverpool Aboriginal Access Group, and has been involved on the boards of organisations including Western Sydney Community Forum, and former Ettinger House.